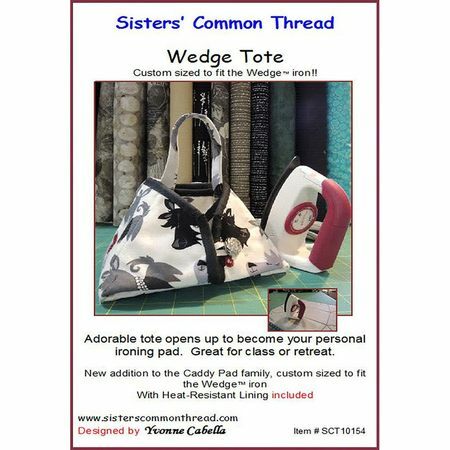 The Wedge Tote pattern was designed by Sisters' Common Thread. 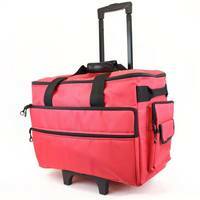 This fun and easy tote has a hidden feature. 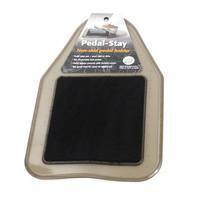 Use it to carry your Wedge Iron and small sewing supplies to craft nights or sewing classes then unfold it to use as a personal ironing pad! This pattern is custom sized to fit Clover's Wedge Iron .